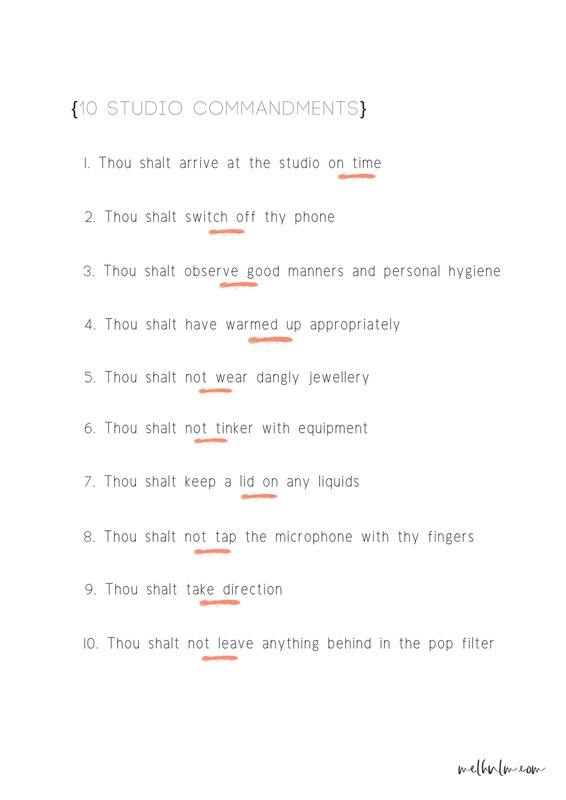 With hundreds of thousands dollars worth of equipment, I think it’s worth laying down the studio law 10 commandment style. Studio owners: if you’re sick of repeating the rules to loose units entering your studio space, download the printable here and stick it up outside your studio as a friendly FYI. Voice actors and musos: read on to know your shalt and shalt nots before you set foot in another studio.